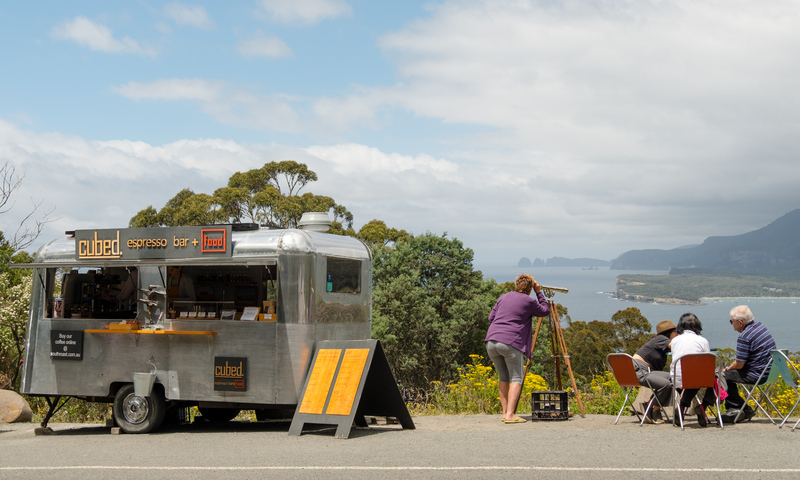 I am not going to waste bandwidth describing again Cubed, the great solar eco silver coffee van trailer in Eaglehawk Neck, Tasmania. You can read my earlier posts from two years ago here and a follow up here. Or you can check out Laurie and Fabienne’s website here. Just today I finally got to stop by and have a flat white like no other. 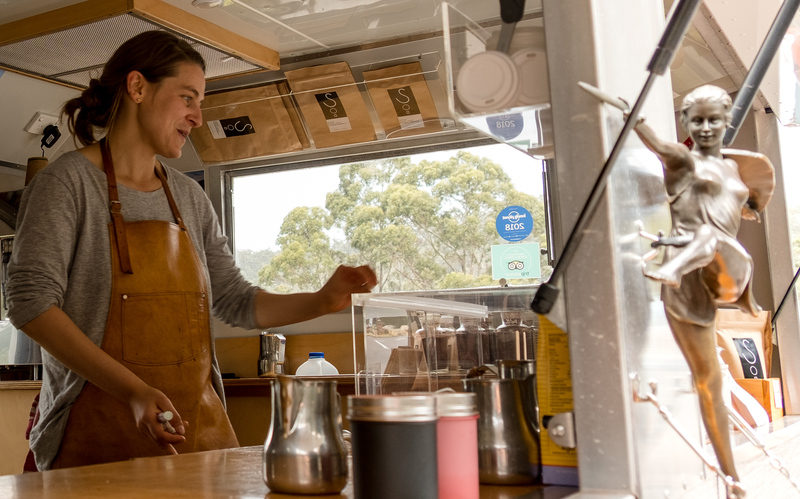 Now, after a mere 3 years of Cubed making single origin espresso coffee and German sweets from sustainable sources, it is clear that people have gotten the message. 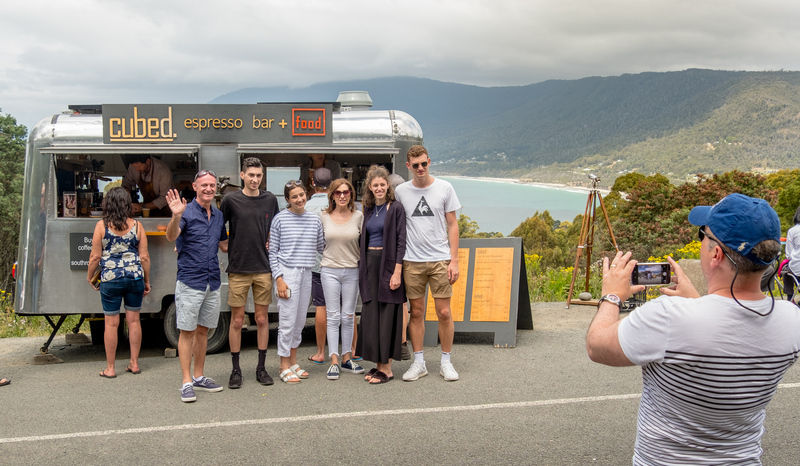 They now show up to get their photo in front of Cubed – not a shot just 3 meters away of themselves in front of the dramatic Tasman Peninsula and the sheer cliffs of Cape Hauy. Laurie and Fabienne are still wearing the best leather aprons. The Art Deco woman statue is still out front – as bright and shiny as ever. They still have a telescope, Turkish rugs and pillows to sit on to enjoy the view. But, over the years they had to stop serving their coffee in china “tulip” cups with saucers (I guess due to their success and demands). 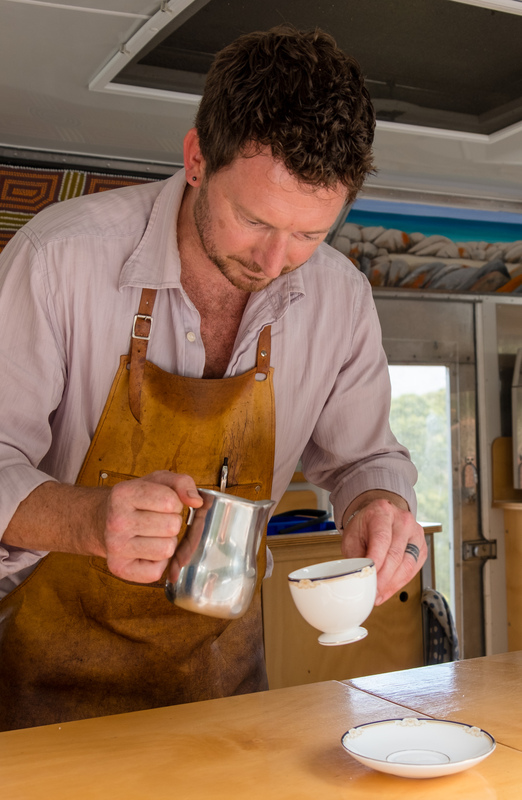 However, and I was very touched by this, when I ordered a Flat White, they smiled and said they knew I was probably coming and had a special cup and saucer just for me. I am sure they say that to everyone, but hey, I don’t care. I loved it. 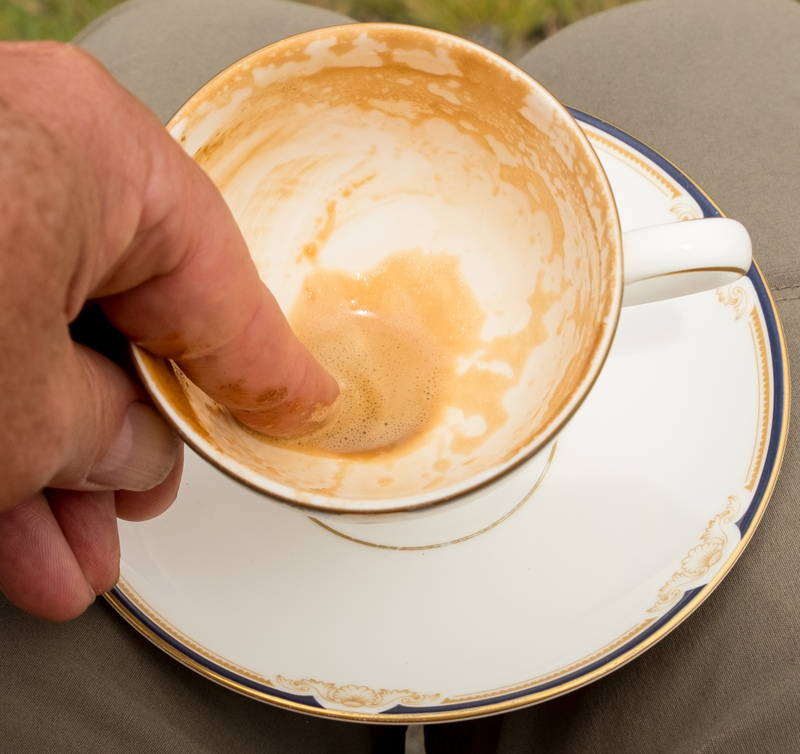 So I had a wonderful cup, enjoyed the view, and did the thing that I don’t do with any other coffee but Cubed’s – stuck my finger in the empty cup and wiped out all the drops of coffee. Me too. My kind of coffee shop. Enjoying your blog and the stunning photos.